A lot of my friends and family have gotten rid of sweets, pies, cakes, and other goodies during Lent. 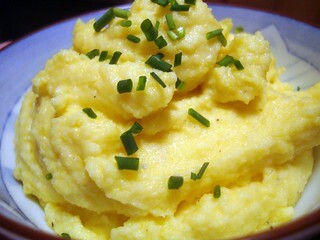 Since I already had to give up those things to follow my special Paleo diet to control an auto-immune problem, I decided to give up one of my other favorite carbs – potatoes and all of their delicious forms- baked, mashed, hashed, and French fried! As biochemistry would have it, losing those carbs and going to a lower-carb option of sweet potatoes and cauliflower has had some positive results on the weight scale! My son the EMT has decided to spend extra time this Lenten season learning Spanish. A lot of his patients are Spanish-speaking. To be better at serving his patients, he wants to improve his communication skills. I understand that so far he knows all of the major food groups! So it might be that by the end of Lent, I will be slimmer and he will be on his way to becoming bi-lingual – and that’s a good thing! I’ve read a couple of articles about Lent and the Lenten sacrifice and how we shouldn’t fast, abstain and sacrifice for ourselves – and that’s very true! Our focus should always be on coming closer to God.